You are here: Home / Business / Special Offers for YOU! To celebrate our 10 years in business, we’d love to share these special offers with you! 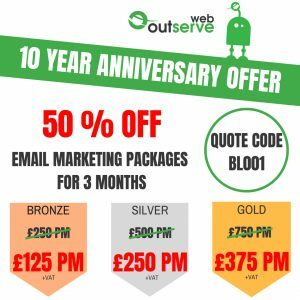 We’ve chosen this offer as we are aware that many businesses don’t have the resources to do email marketing. Email marketing remains, however, one of the most effective marketing tools. 80% of professionals indicate that email marketing is their greatest driver of customer retention. Use our offer to help you stay in touch with your customers, remind them of the value you provide and position yourself as the go-to expert in your field. 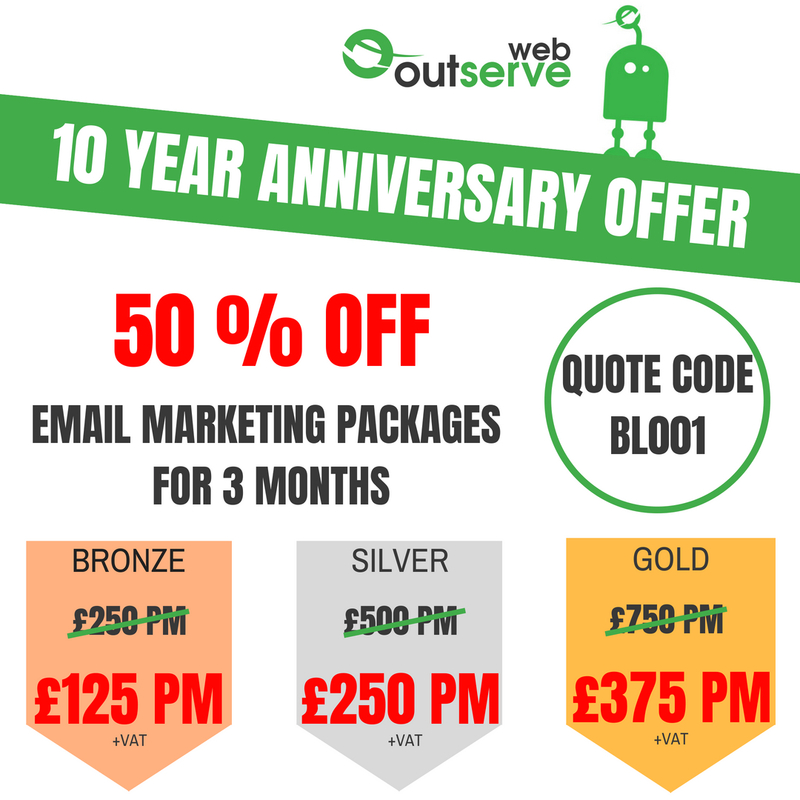 If you would like to take advantage of our half-price Email Marketing Package offer, get in touch on 01785 244080 or contact us here quoting code BL001. Let us conduct a Net Promoter Score (NPS) survey for you to help you understand your clients’ level of satisfaction with your business i.e. how willing they would be to recommend you. Keep track of your score and see how it changes over time. As well as the quantitative rating customers give your business, the NPS survey is a great way of obtaining qualitative customer feedback. This will help you to identify the top areas for improvement and understand what is working well so that you can reapply best practices. 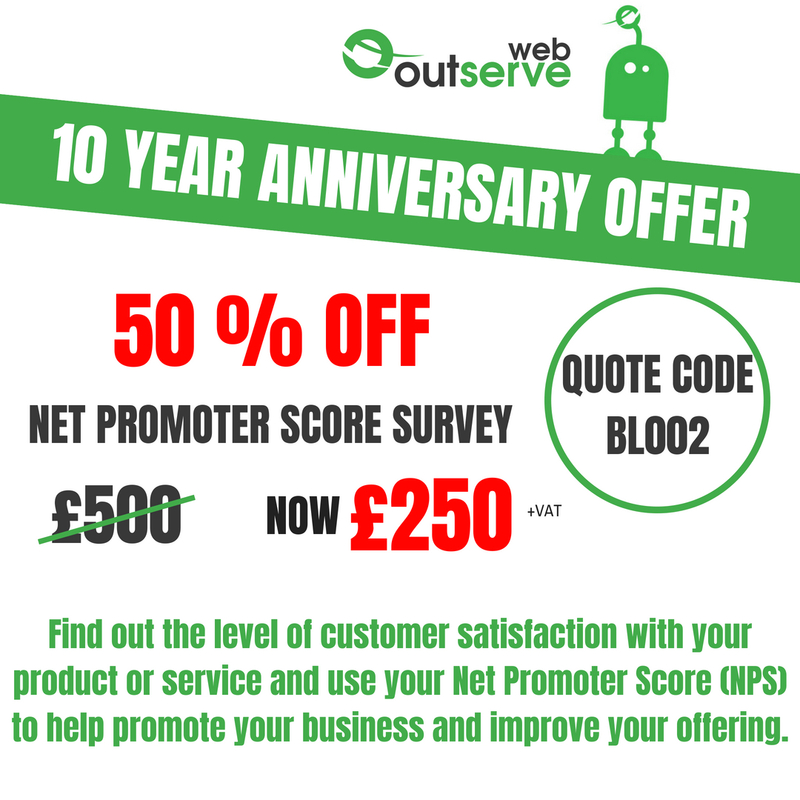 If you would like to take advantage of our half-price Net Promoter Score Survey offer, get in touch on 01785 244080 or contact us here quoting code BL002. 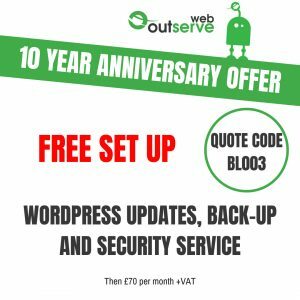 Protect your website, patch security holes and add new features to your site with regular WordPress updates. It is also essential to perform regular backups to enable you to restore content or your whole website if necessary. 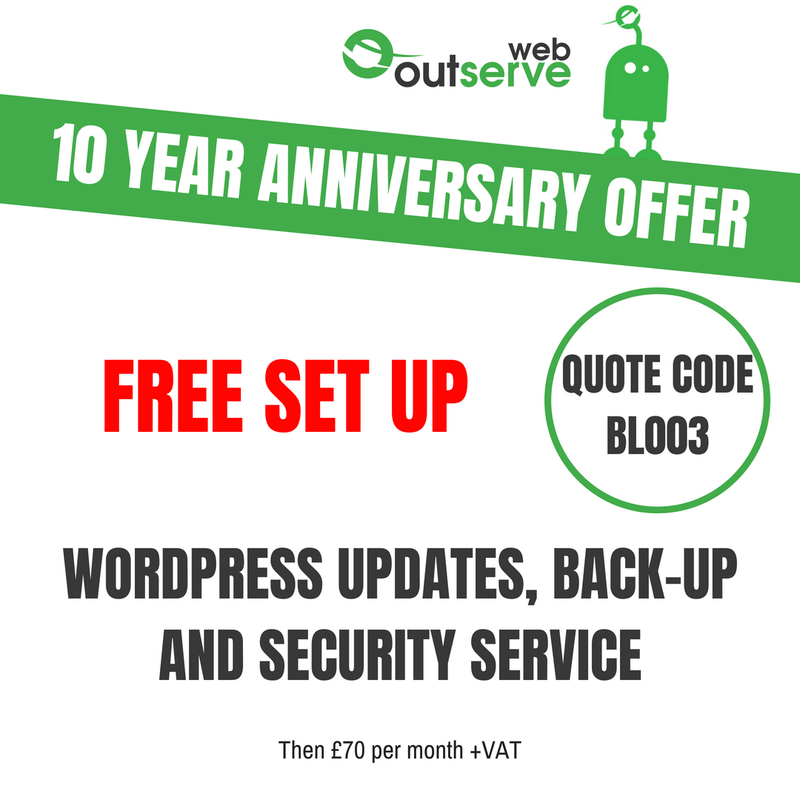 If you would like to take advantage of our offer of FREE set-up of your WordPress Updates, Backup and Security service, get in touch on 01785 244080 or contact us here quoting code BL003.